 Our goal is to have all concerns and issues known and resolved before a dental emergency occurs. After all, it’s never a good time for a toothache or a broken tooth! At our family-oriented Hiram dental practice we see patients with many different dental needs, from routine preventive care and dental emergencies to life changing restorative and cosmetic treatments. A large part of comprehensive dentistry is the development and fulfillment of ongoing maintenance plans, which helps minimize the chance of original problems recurring. Good oral hygiene at home is also important, but in-office exams are critical to keeping your smile healthy because our dental team has the ability to remove plaque your toothbrush can’t.